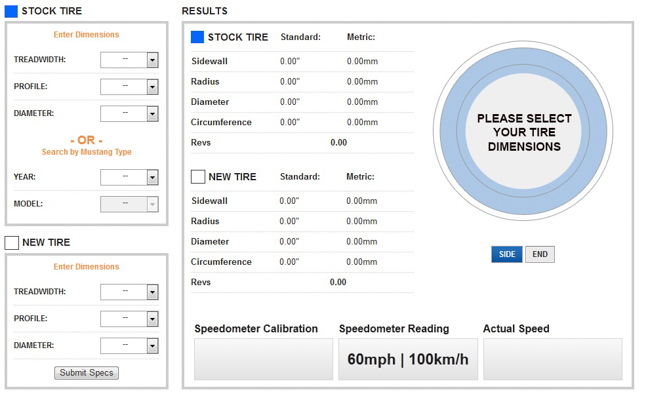 While this tool is tailored to the Mustang enthusiast crowd, you can put in the wheel sizing for any car and get an accurate reading of what changes you can expect. Anyone with questions on specific wheel related issues can reference a tech guide, such as our wheel buyer’s guide and explanation of wheel offset. Previous Entry Design Revealed: 50th Anniversary Mustang Logo For 2015! Next Entry Just In: 2012-2013 Boss 302 Laguna Seca Style Wheels!